This morning, there was absolutely no one at Gouverneur beach… I had the beach to myself, just warm sand, the sun and the sound of waves breaking on the beach. A pelican hunting overhead was my only companion. 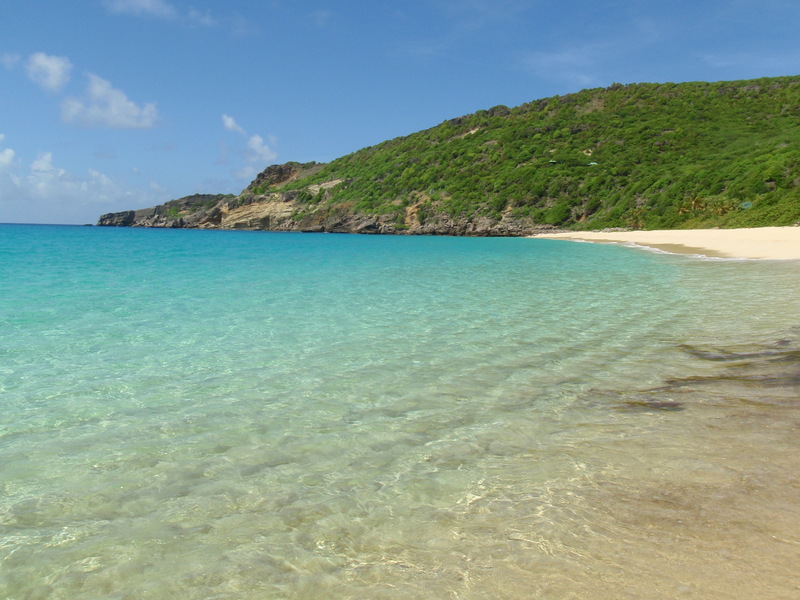 Gouverneur is considered one of the most beautiful beaches of St. Barths. The view of the bay while coming down the road is simply incredible, the turquoise water against the white of the sand. It was a lazy morning followed by a delicious hamburger at the Select in Gustavia. A day in paradise!